Episode 2 of the Right Dishonour Podcast where Jimmy recounts his experience at the #EndAusterityNow protests. 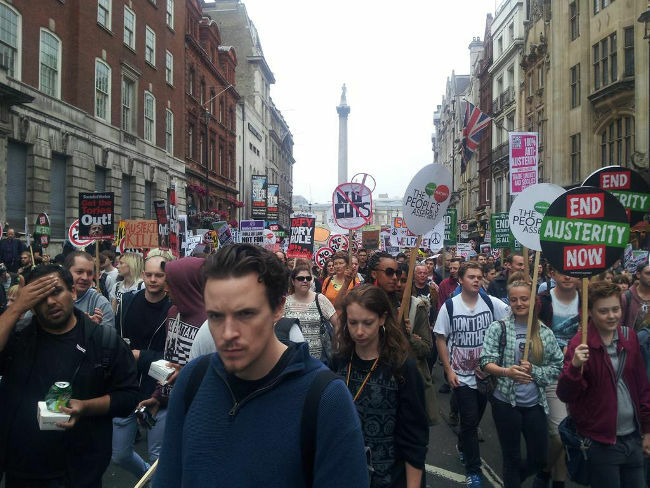 Will these anti-austerity protests actually go anywhere? We also touch on the Liberal Democrats’ leadership contest between Norman Lamb and Tim Farron. Why exactly does Jazza dislike Tim so much? Find out here, and then read Jimmy’s analysis of the Lib Dem London hustings from last week here. Finally Jazza gets annoyed at America about the Charleston shootings and gun control. Sort it out USA! And after you listen perhaps read Mr. Servante’s piece analysing the Jon Stewart’s reaction to the racially motivated attacks here. Make sure you leave us a review on iTunes and rate us five stars (or how ever many starts you want). It helps us out mucho!